Also, I am turning 31 years old in less than a week. I get as excited for my birthday now as I did when I was seven. I love cake and feeling special and everything about a birthday. My birthday means that good sweet corn will be ready soon. When I was born my parents did not have much money. My father couldn't afford a "push present" or flowers for my mom. Instead of buying anything, my father took some tigerlilies that were growing along the side of the road in to me and my mom. Isn't that sweet? 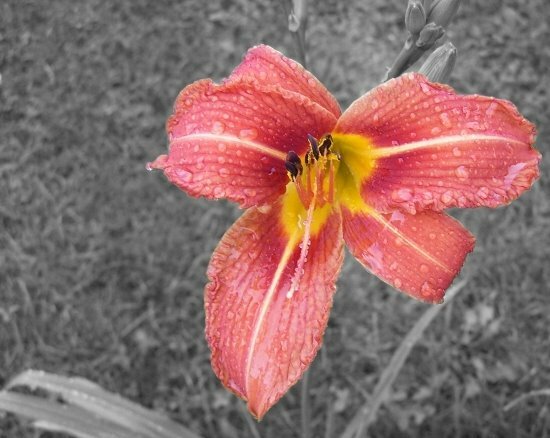 It is a short and simple story, but that is why the tigerlily is my favorite flower. The first man I loved brought me flowers the day I was born (or the day after- I don't actually remember). I have had a life-long obsession with the tigerlily. They are my favorite flower. When I was planning our wedding, the only thing I demanded were tigerlilies in my bouquet. 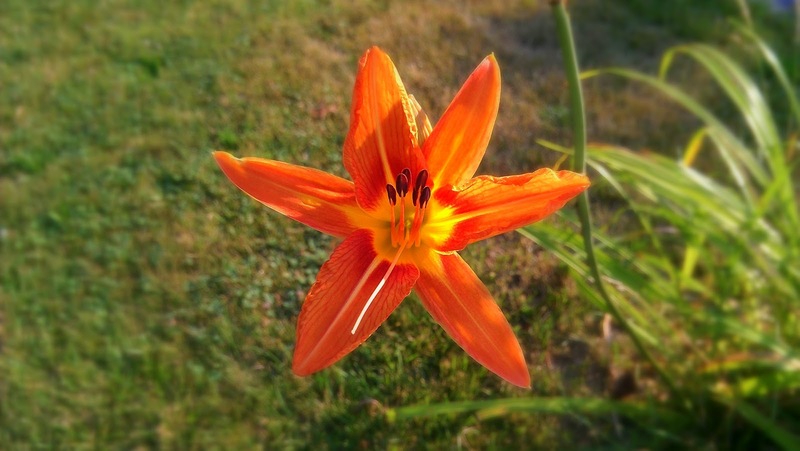 When we bought our house these first thing I planted were some tigerlilies by my mailbox. Over the few years we lived here I have also transplanted some by the side of my house and in the back. They are starting to take over, and I love it!